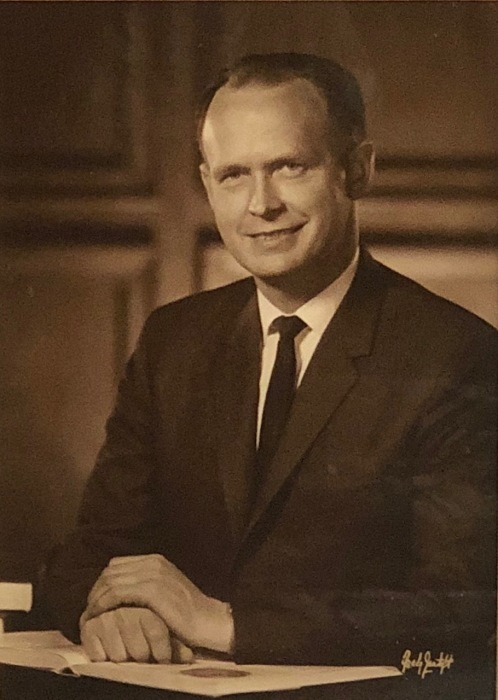 Richard E. Waller passed away peacefully on November 3, 2018, at the age of 97. Rick was born on September 28, 1921 in Brinsmade ND, to Robert and Emma Waller, the second of three sons. Rick met the love of his life, Vivian Bratvold, in Brinsmade, and they were later married in Jacksonville FL in 1943. Rick grew up playing basketball and baseball, which fueled his lifelong passion for UPS basketball and Seattle Mariner baseball. 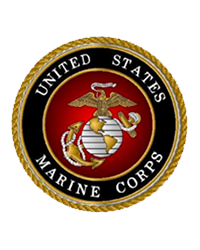 Rick lived in Gig Harbor for 64 years and was a WWII veteran, serving as a Master Sergeant in the U.S. Marine Corps from 1942 to 1946. After the war, he attended the College of Puget Sound and graduated from the University of Washington School of Dentistry in 1954. Rick joined the first dental practice in Gig Harbor and practiced there for 32 years. Rick was a dedicated family man whose love and generosity extended not only to his family, but well beyond into the community. Rick was a member of the Lions Club, Elks, and a founding member of Gig Harbor National Bank. He regularly devoted his time and services to the residents at Cottesmore, always made time for his patients, no matter the time or day and contributed significantly to the Gig Harbor community. Rick also enjoyed getting together with friends in the Harbor to share stories (and health tips) over a cup of coffee. Rick was an animal lover and would often be found with a cat on his lap or a couple of dogs by his side. Rick and Viv had two daughters, Kimberly Moore and Lydia McGilvrey, both of whom grew up in Gig Harbor. Rick is survived by Kim (Dan Moore) and three grandchildren, Alex Moore (Emily Moore), Ericka Schlueter Thompson (Adele Thompson) and Flynn McGilvrey. Rick leaves behind a legacy of generosity and kindness and will be greatly missed. Funeral services will be held at 2 pm on Wednesday, November 28 at Peninsula Lutheran Church.